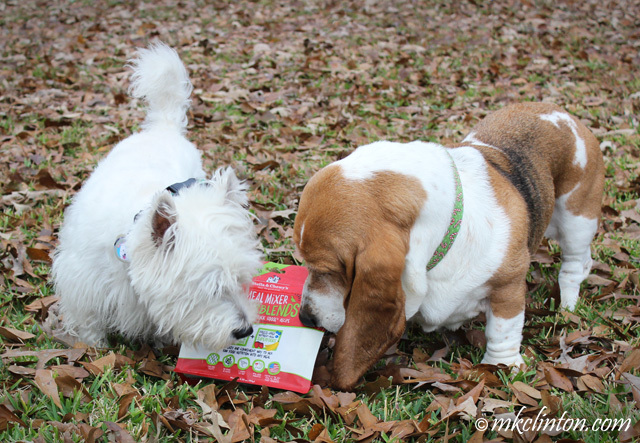 Bentley: “Look what he brought us. 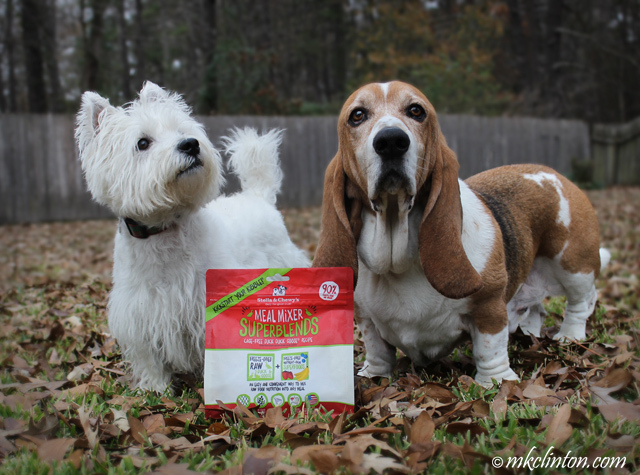 It is Stella & Chewy’s® Meal Mixer SuperBlends™. Ours is cage-free Duck, Duck, Goose Recipe® and it smells wonderful. 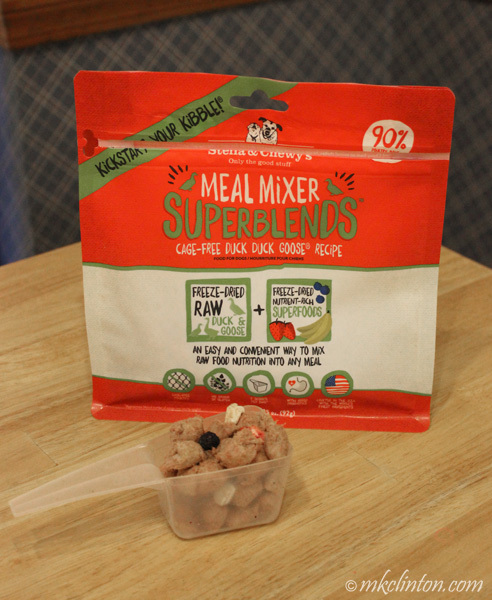 The boys could hardly wait for me to get their food ready so we could top their regular meal with their Duck, Duck, Goose Meal Mixer SuperBlends. 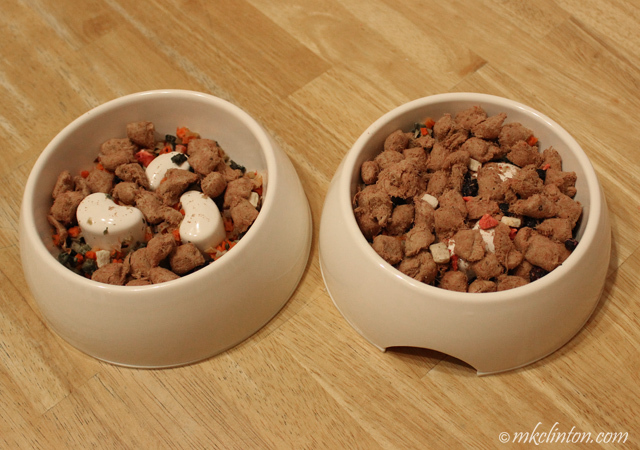 I added one scoop to Pierre’s food and Bentley gets a little over 2 scoops daily. There is a handy serving size chart on the bag. We are joining our friends Golden Woofs and Oz the Terrier for their monthly Chewy.com blog hop. See what my friends have to share from Chewy by clicking on their icons. This stuff is over the top tasty! Glad you boys got to try it too! We absolutely LOVE Stella's Brand...very, very tasty!!! 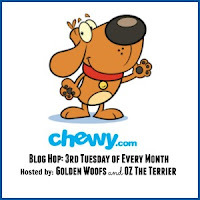 We love Chewy.com also!! lChewy is so nice and the yum delivered to your door is just the best! Your food is looking very yummy, enjoy. 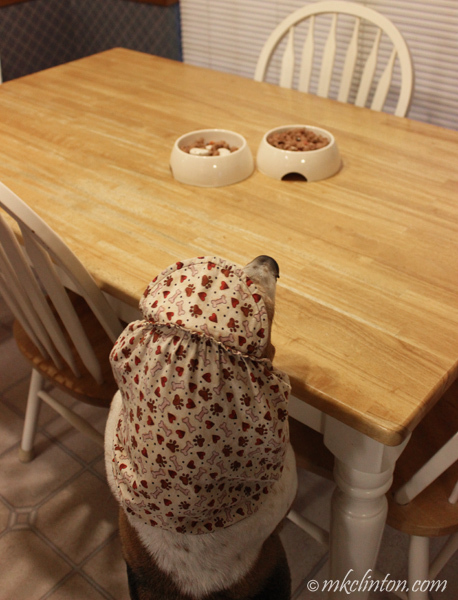 You look so cute with your snood on, Bentley! 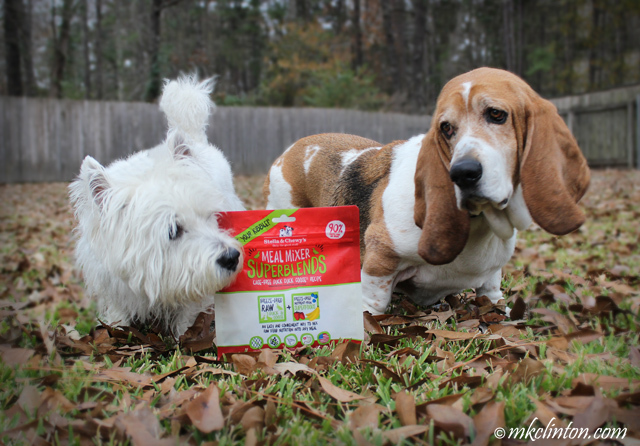 Those meal mixers sure do look yummy! Excellent review. We loved that snood! The crew thinks that looks yummy! I have a sample of that in our pantry that Chewy sent us and now they are going to get after me to try it. 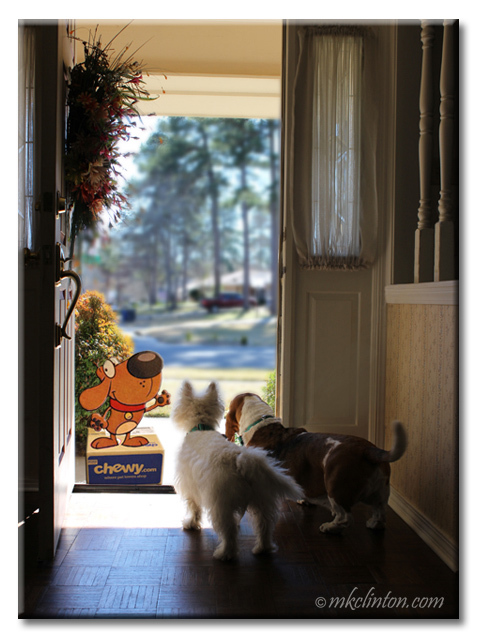 The gang at the Ranch LOVE food toppers and Chewy's delivered our box earlier this week. Yay...now they are super happy!